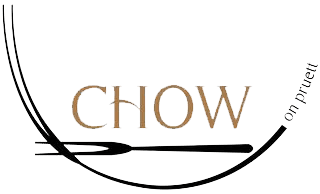 Let CHOW cater your next business meeting, wedding, family reunion, private party, or celebration. As one of Northeast Arkansas’ premier caterers, your event is as important to us as it is to you out reputation depends on it!! You’ll love our style because it reflects your style…your event tailored to your taste and that of your guests. And, at Chow At One Eighteen, we are environmentally and socially responsible caterers, demanding earth-friendly biodegradable products for serving and packaging, and featuring food preparation that is free of trans fats. We specialize in planning and catering weddings and wedding receptions. From event planning, to venue selection and setup, to the reception, we offer a full-service wedding package that includes everything from your refreshments to appetizers to full multi-course meals or buffets, to of course, the cake. Let us be your extra set of hands. We can take care of all of the details to make your experience one of ease and enjoyment. We are committed to keeping the experience of our customers personal and intimate whether we are planning a wedding, a wine tasting diner or a large corporate gala. It allows us to understand you and your events more fully so we can cater to your needs and exceed your expectations. It’s our loyal customers’ appreciation of this personal touch that keeps them coming back and enjoying our catering services. Our meticulous planning before the event allows you to further relax during your big event knowing that the food, the presentation, and the service will be perfect. It is our attention to detail that continues to set us apart from our competition and gives our customers complete peace of mind that everything, including the food, will be just as perfect as they imagined it. Have a unique catering challenge? Planning an event at an untraditional venue? We are specialists at working with venue limitations and making events run smoothly no matter the circumstances. Ask us about some of the culinary miracles we have been able to pull off that other catering companies never would have dreamt possible. For most of us as we were growing up, eating and enjoying food was something to look forward to doing. It was a time to explore new tastes as well as a time to experiment with new ingredients and combinations. However, as we became older and busier, our free time slowly shifted toward other activities and our diets (and taste-buds) suffered the consequences. Our food is known for being both delicious and nutritious – a result of education and a passion for healthy food culture. Those looking for organic catering are always happy with our carefully selected menus using the best seasonal organic ingredients. Ask us what we can do for your event.